Strongest Hearts makes videos on vegan athletes and they know that veganism can take root and inspire in many ways. 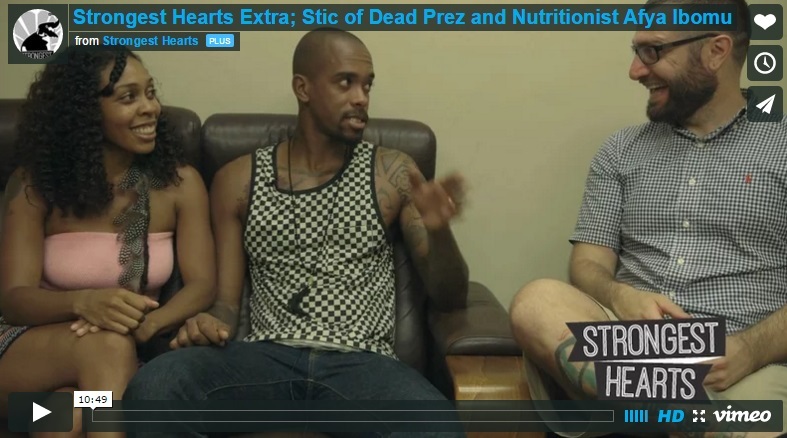 In their latest episode they interview Stic from the legendary Hip Hop group Dead Prez. Back in 2000, Dead Prez put out an album called Let’s Get Free with the track Be Healthy Y’all– a vegan anthem that’s just as popular today. You can read more about Stic here and be sure to check out his post on Plant-based on a Budget.